When asteroids are coming to destroy the Earth, humanity relies on the Asteroid Fighters to save the planet. In this page, Otopepe's asteroid is coming to obliterate Earth and all its heroes. For some of the pages of the book, Rui Lacas divided the pages into two or three parts spread by A4 and A3 sized pages. 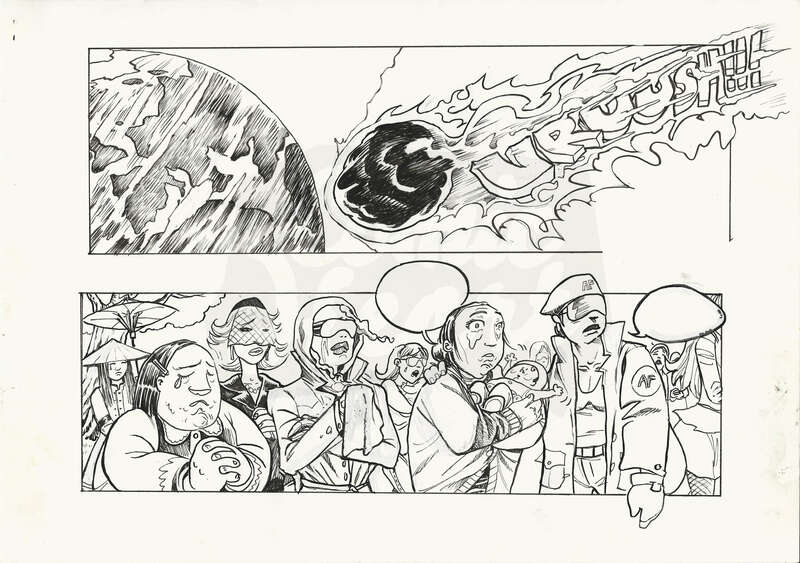 These are the original pencils and inks for the bottom half of the 42nd page of the book which has an A3 (29.7 x 42.0 cm / 11.7 x 16.5 in) sized format.